until you speak with us! ¡HASTA QUE HABLES CON NOSOTROS! Law Offices of Andrew S. Kasmer, P.C. At the Law Offices of Andrew S. Kasmer, P.C., we are dedicated to providing each client and case with aggressive and personalized representation. Your needs are always our first priority. Whether you come to us with an injury case or need our help with a criminal or traffic matter, we are here to help you in your time of need. Call 911 and take care of any urgent injuries. Contact me as early as possible. Call your immediate supervisior and report the acident. Remeber, be as specific as possible to report exactly what you were doing when you first felt pain. speaking with anyone, including the police officer. Worker's Compensation Attorney in Fairfax, Virginia (VA), Worker's Compensation Attorney in Woodbridge, Virginia (VA), Maryland (MD). Why us? We believe in doing some very basic things that can mean the difference between a successful or unsuccessful experience in dealing with the legalities of a Motor Vehicle Accident, Workers’ Compensation claim, or Criminal/Traffic Defense case. I have more than 25 years of experience in personal injury, workers' compensation and general litigation. With this experience, my dedicated staff and I have the experience needed to provide quality legal services to you and your family. I have recovered millions of dollars for thousands of injured people in Maryland, Virginia, and Washington, D.C. In addition, I have helped hundreds of clients with their traffic and/or criminal matters. Mr. Kelly was formally invited to join the Law Offices of Andrew S. Kasmer, P.C. as of January 1, 2015. Previously, he had been working with the firm in an "of counsel" capacity. Mr. Kelly has extensive litigation experience, a hard work ethic, and track record of success. 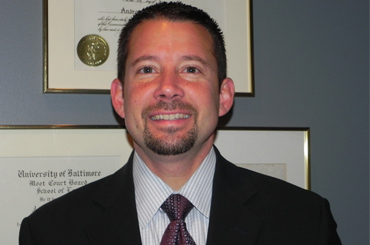 Mr. Kelly handles personal injury and workers’ compensation cases in Maryland, Virginia, and Washington, D.C.
Mr. Holston joined the Law Offices of Andrew S. Kasmer, P.C., in June 2016. Previously, he worked for a workers’ compensation firm in Maryland. Throughout his career, Mr. Holston has fostered his passion for zealously advocating on behalf of injured and otherwise disadvantaged individuals. Mr. Holston handles both personal injury and workers’ compensation matters. Being involved in an auto-accident is a very traumatic situation. Each year, about six million U.S. motorists are involved in motor vehicle accidents. What is more traumatic than the accident is acts or things that the victims do and don’t do after a car or motor-vehicle accident.